A reproduction of the classic, This is the House that Jack Built, in both English and Pennsylvania Dutch. Color illustrations. Softcover. Walter Sauer, translator. 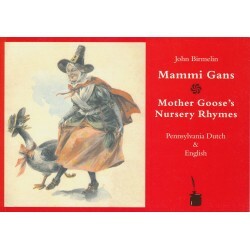 A reprint of the classic, Mammi Gans, by John Birmelin. This version, edited by Walter Sauer, includes 50 of the best known nursery rhymes from John Birmelin's pamphlet. 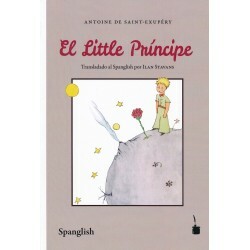 Includes numerous illustrations from the 19th century. Softcover. 62 pages. 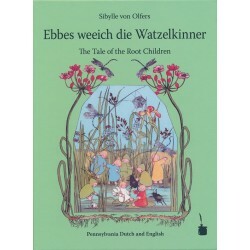 A reproduction of the German classic, "The Tale of the Root Children," in both English and Pennsylvania Dutch. 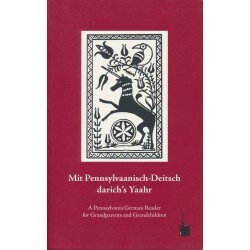 19 beautiful full colors pages and an additional glossary of Pennsylvania Dutch, English, and German words followed by the original German version of the story with black and white illustrations. Hardcover. Walter and Nadine Sauer, translators and editors. 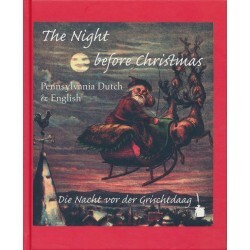 The beloved Christmas poem, “The Night before Christmas,” was translated twice into Pennsylvania German, first in 1896 by Thomas C. Zimmerman (1838-1914), and then in 1920 by Solomon Delong (aka Obediah Grouthomel, 1849-1925). Both versions are presented here, accompanied by the English original and the classic pictures by Thomas Nast (1840-1902), taken from a 1869 McLoughlin Bros., New York, edition. Hardcover. 16 pages. 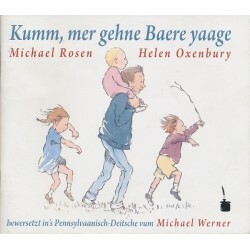 A translation of We're Going on a Bear Hunt into Pennsylvania Dutch by Michael Werner. This is a story about a family going on an adventure to find a bear. Color and black and white pictures. Softcover. 34 pages. 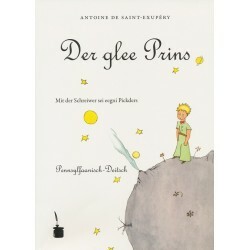 A reproduction of the French classic, The Little Prince, in Pennsylvania Dutch. 93 pages with beautiful color and black and white illustrations. Softcover. Mark L. Louden, translator. 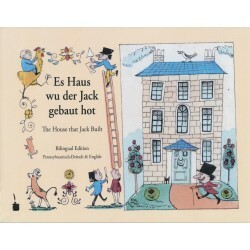 A reproduction of the German children's book, "Es klopft bei Wanja in der Nacht," in Pennsylvania Dutch. This is a wonderful book in rhymes with full color illustrations, interesting to read for children (2 years and above) and adults alike. 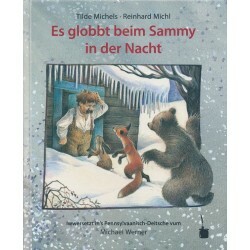 The delightful story tells how on a cold winter night a rabbit, a fox, and a bear one after another knock at Sammy’s door asking for shelter. They promise not to harm each other, and they keep their promise. A true parable of how peaceful co-existence can work in times of need. Beautiful color illustrations. Hardcover. 22 pages. Michael Werner, translator. 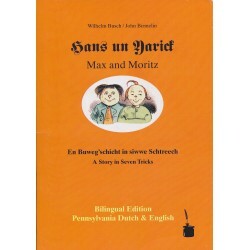 A reproduction of the German classic, Max and Moritz, in both English and Pennsylvania Dutch. 54 pages with black and white illustrations. Softcover. Walter Sauer, editor. 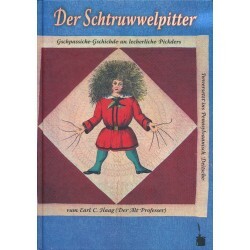 A reproduction of the German classic, Shock-Headed Peter, in both English and Pennsylvania Dutch. 24 beautiful full colors pages. Softcover. Earl C. Haag, translator. A collection of poems, stories, and reflections related to each month of the year. Softcover. 136 pages.